Get ready to tackle your next outdoor adventure! No matter the season, Elkhart County Parks has countless ways to play outside. 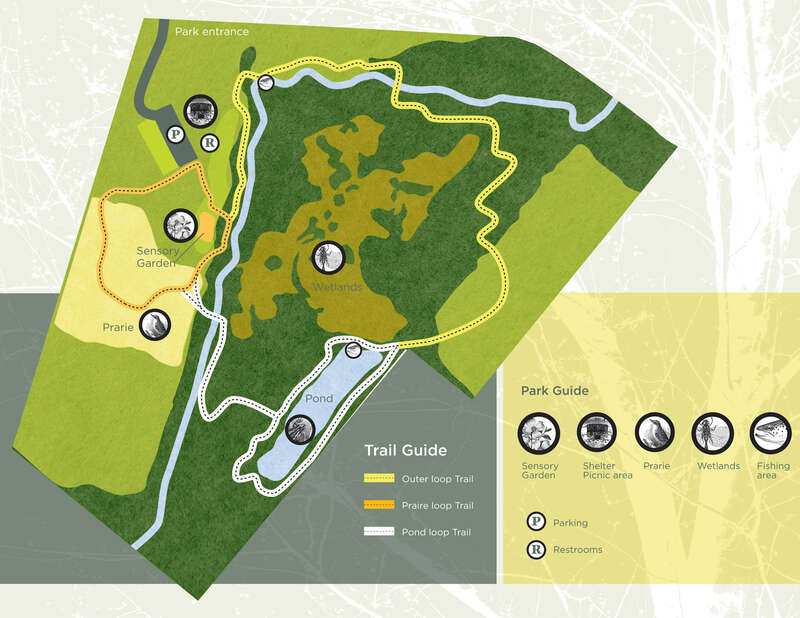 Our park properties beckon hikers and cyclists to explore miles of diverse terrain. Athletic fields in several of the parks offer plenty of room for athletes craving some friendly competition — from sand volleyball and soccer fields to disc golf and archery. The scenic Elkhart River features several waterways perfect for kayak or canoe excursions, and slow-moving canals in parks, such as the River Preserve, provide year-round fishing opportunities. From simple woodland strolls to day treks traversing wild prairie and rolling countryside, Elkhart County is a hiker’s haven. 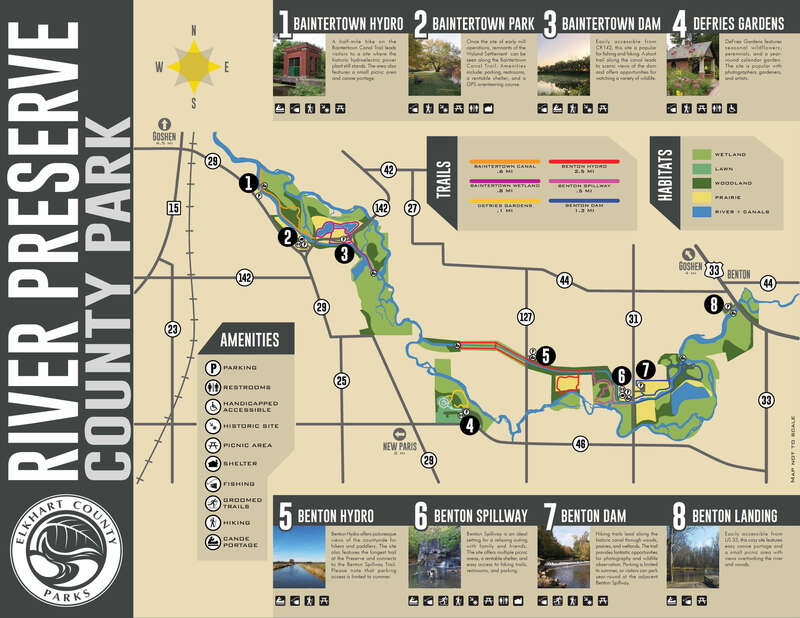 An abundance of trails weave through the region’s parks and preserves, offering endless opportunities for hikers to explore the best of Elkhart County’s backyard. Terrain varies from winding riverside routes through woodland corridors to wildflower-covered meadows overlooking country landscapes as pretty as a handmade quilt. Each season paints the county in a whole new light, so no matter when you go, you’ll find ever-changing landscapes to explore and savor every step. 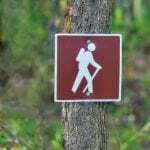 Check out our hiker’s guide for a list of places to start your journey on the right foot, or visit the events calendar for guided hikes offered seasonally. Pick up the pace and explore the county on two wheels! From energizing paved road rides to thrilling cross-country and mountain biking, Elkhart County has cycling routes for all tastes. 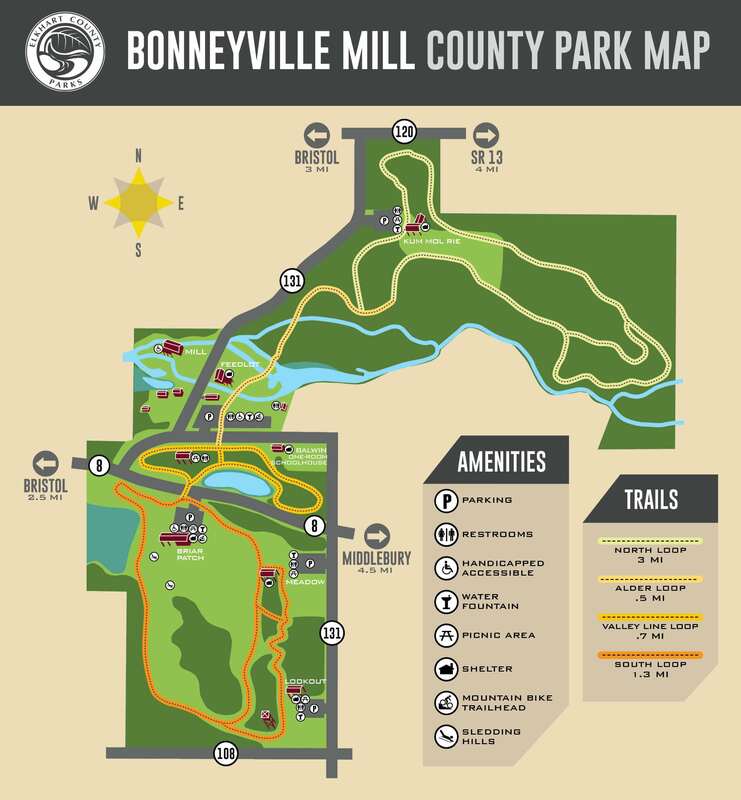 You’ll find some of the most challenging and thrilling trails at Bonneyville Mill County Park. A six-mile designated mountain bike trail provides mountain bikers a thrilling ride through a wooded and rolling terrain. 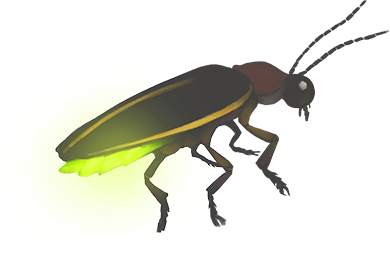 The trails feature color codes based on skill level: Green for beginners, Blue for intermediate riders, and Black for experts. 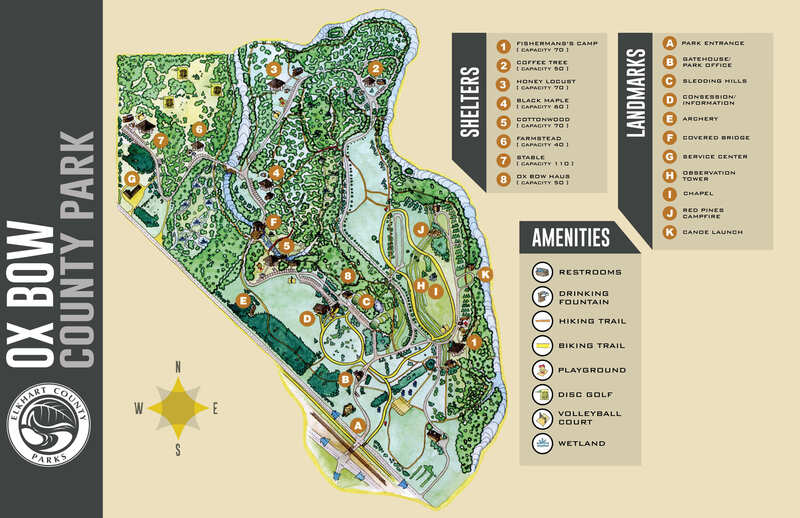 The trailhead is located at the meadow next to Briar Patch Shelter. Take your pick from lake, canal, or river—everywhere you go, the scenery rivals the catch. At River Preserve County Park, you can catch Bluegill and Northern Pike in the slow-moving waterways and wetland ponds. Cobus Creek County Park is well-known as a fly fishing hotspot, featuring wooded banks and gravel-bottom cold-water streams that attract Brown and Rainbow Trout alike. For the urban angler, venture to Ox Bow County Park for some easy fishing overlooking the river using one of the park’s fishing piers or platforms. Wrapped in waterways, our county offers some excellent places to paddle and soak in some quality time outdoors. The Elkhart River’s soft-bottom banks and gentle currents are perfect for gentle canoe and kayak rides. Access to the river is available at River Preserve County Park and Ox Bow County Park. Further north, the St.Joeseph River offers expansive waterways to traverse. In downtown Elkhart, Treasure Island offers easy launch and takeout with sandy shores that will leave the bottom of your scratch-free. Ox Bow County Park is home to a three-target archery range. Bring your own equipment and use the range for $1/daily or $10/annually. An 18-hole disc golf range is available for use near the Farmstead Shelter in Ox Bow County Park. Cost is $2/daily or $20/annually. Take advantage of the great outdoors and the numerous recreational opportunities we have to offer in one of our many athletic fields. Spend an afternoon with friends and family playing soccer, volleyball, or tossing around the frisbee. Come on out–there’s plenty of room for fun! Sand volleyball courts are available for year-round use in our parks. Ox Bow County Park features several courts adjacent to the Honey Locust, Stable, Cottonwood, and Fisherman’s Camp Shelters. Cobus Creek County Park also includes a court by the shelter. Our athletic fields offer the perfect playscape–from group games in soccer and football–to track and field tournaments. Looking for a site to host a sporting event? Our athletic fields are available for special use for sporting events. Contact us or call the administration office for event inquires. From cross-country skiing to snowshoeing and sledding adventures, options for snowy recreation are practically endless in Elkhart County. Two of our parks—Bonneyville Mill and Ox Bow—feature warming houses in the cooler months (December-February). Trailhead at Fisherman’s Camp Shelter. Trailheads at main parking lot and Briar Patch Shelter. Trailhead at main parking lot. With miles of groomed trails to explore, it’s no secret among locals that the Elkhart County Park offers fantastic opportunities to cross-country ski. New to cross-country skiing? Beginner workshops are held during peak snow season. Check the events calendar to see when the next one is being offered. Bring the whole family! We’ve got sledding hills located by the warming houses in Ox Bow and Bonneyville Mill.